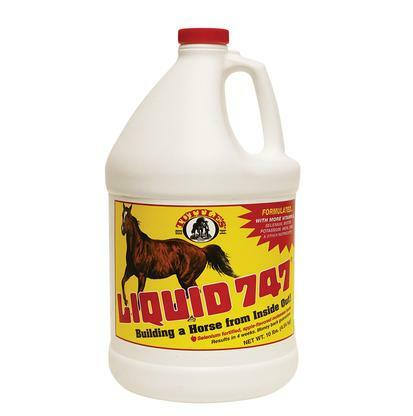 LIQUID 747 provides nutrients needed for the formation of hemoglobin and other blood constituents in a palatable blend of natural products having excellent digestibility with concentrated vitamins and minerals. The apple flavored liquid supplement aides in balancing your horse's diet for optimum development, stamina, and appearance. Guaranteed to give your horse's coat a healthy sheen within four weeks.